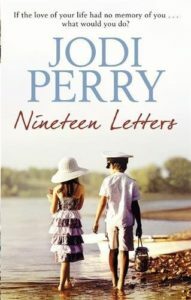 Nineteen letters are written in the hope of relighting memories. The letters are beautiful and poignant telling the story of how friends became husband and wife. It is a totally beautiful tale. Highly amusing at times. Terribly sad at others.